Immediately after purchasing our plane ticket out of Laos, we felt a surge of regret. We suddenly felt like idiots for leaving a country we loved so soon. Here are seven things we will miss most. 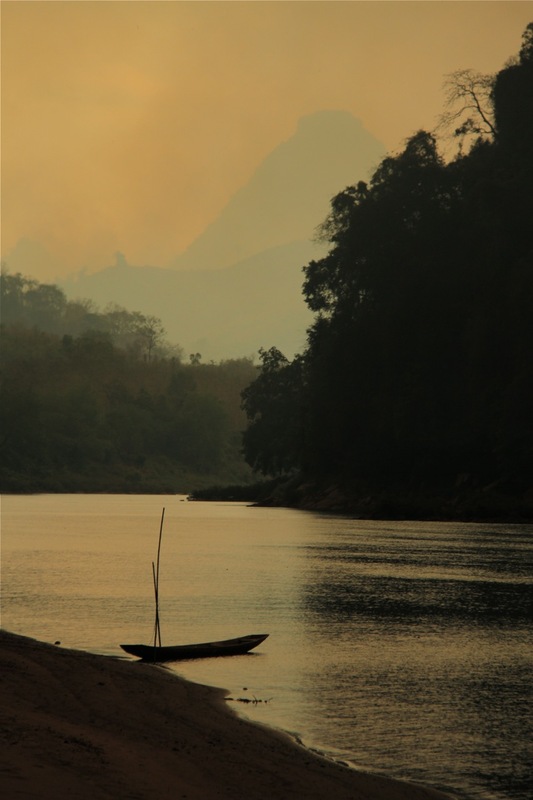 Immediately after setting foot in Laos, you notice a change, and breathe a sigh of relief. Everything is a bit calmer, slower, more laid back. Tuk-tuk drivers wait for you to come to them, people pause to say hello to you on the street, and foreigners are not the center of attention. 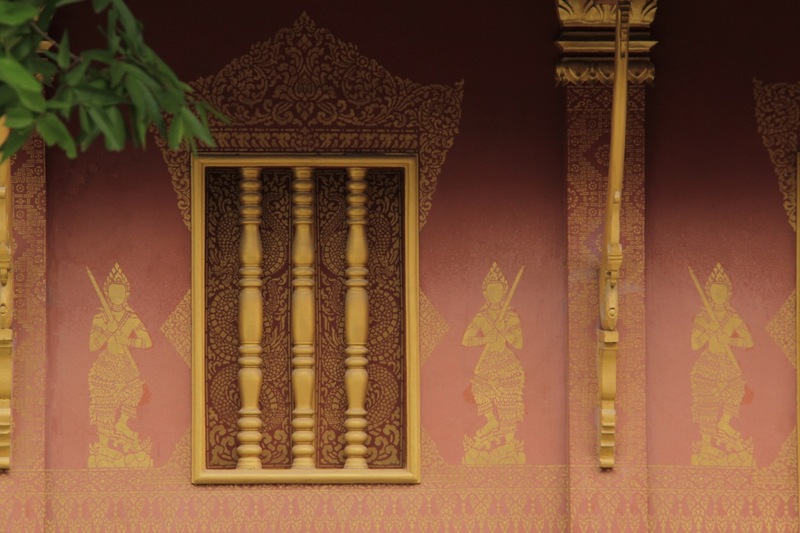 Tourism hasn’t seemed to change Laos as much as its neighboring countries— or maybe it’s just the way Lao people are. It’s hard to put a finger on it exactly, but there’s just a feeling here that makes you want to stay. 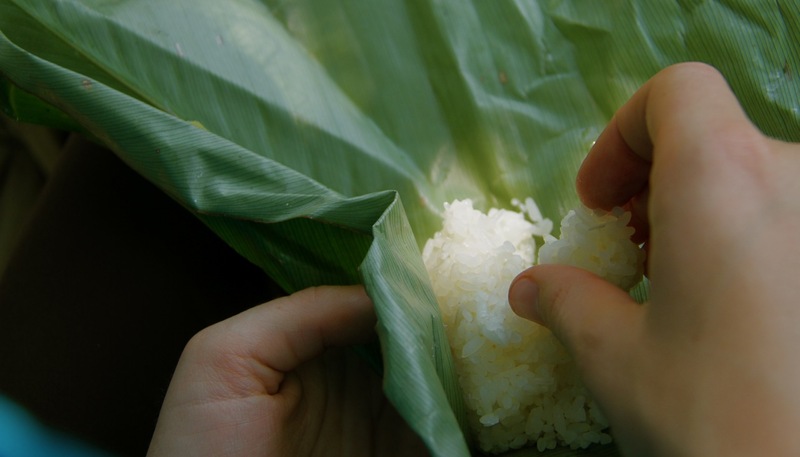 After eating it with every meal during a trek through Nam Ha, we were hooked on sticky rice. Chewy and flavorful, a perfect finger food for dipping into anything else on your plate, it is the standard accompaniment for Lao cuisine. And though dishes here are not as boldly flavored or expansive as the more familiar Thai food, they do include delicious flavor combinations we had never tasted before. A particular favorite is chicken laap—minced chicken bursting with flavors of lime, mint and ginger. The fried spring rolls in Laos also seemed unusually tasty. 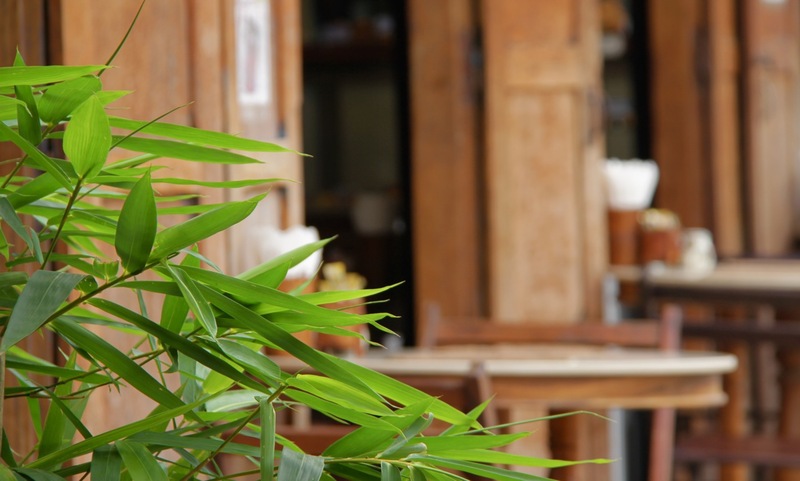 Some of our favorite memories from Laos will be of the times we did nothing at all. Our shady deck had a commanding view over the Nam Ou river valley, and the constant activity on the opposite bank made long-term lounging an entertaining pastime. 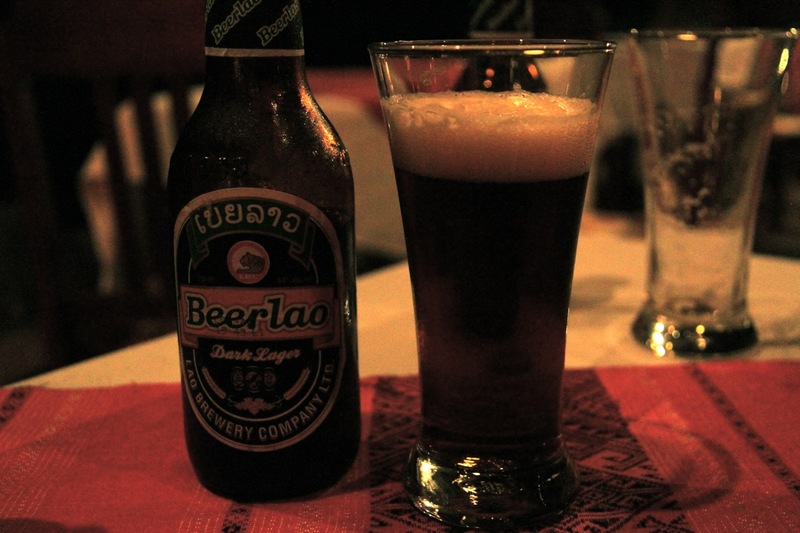 After a steady stream of tasteless, colorless beer in the rest of Southeast Asia, Beerlao Dark is a shining ray of hope in a gloomy tunnel of beverage despair. It’s an impressive 6.8 percent and it actually tastes like something. Something good. Biking is an excellent way to explore a new place, and it was especially nice in Laos, where drivers are a bit less maniacal and tons of locals also ride bikes. It’s slow enough that you can appreciate the details in passing scenery, respond to hellos and palms outstretched for high-fives, yet fast enough to cover a lot of ground. Plus, you can feel like you’ve earned those spring rolls. On a bike, we found places and moments we otherwise would have missed, like this fisherman searching for dinner. We heard mixed reviews about the popular two-day boat trip downriver from Huay Xai to Luang Prabang, so we opted for a more northerly route through Laos that still included some river time. We weren’t sure what to expect when we went to the pier in Nong Khiaw, but the seven-hour ride down the Nam Ou was lovely. Deftly maneuvered through small rapids by a driver who had clearly done this before, we floated past jagged karst mountains, small villages, fishermen, and grazing buffalo. 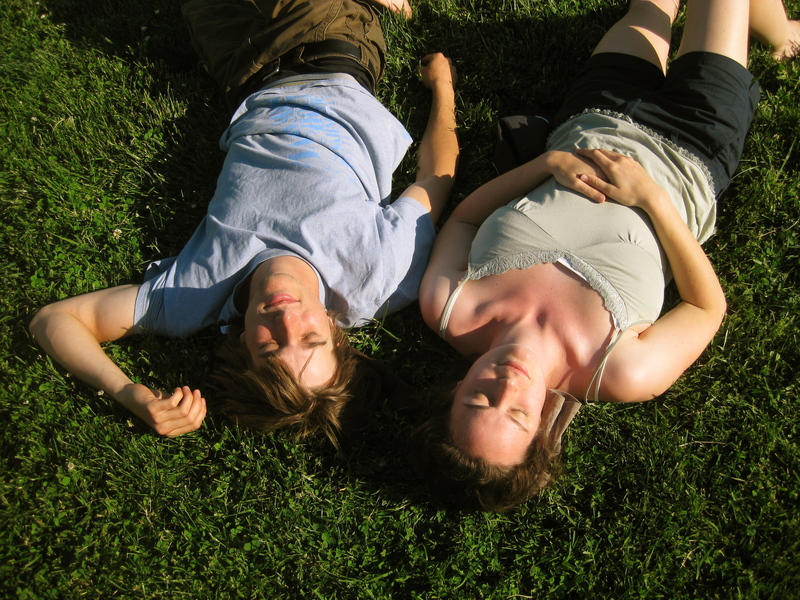 There was always something on the riverbanks to entertain us when taking a break from a book. And it was infinitely easier on our tailbones than the bone-rattling bus rides. 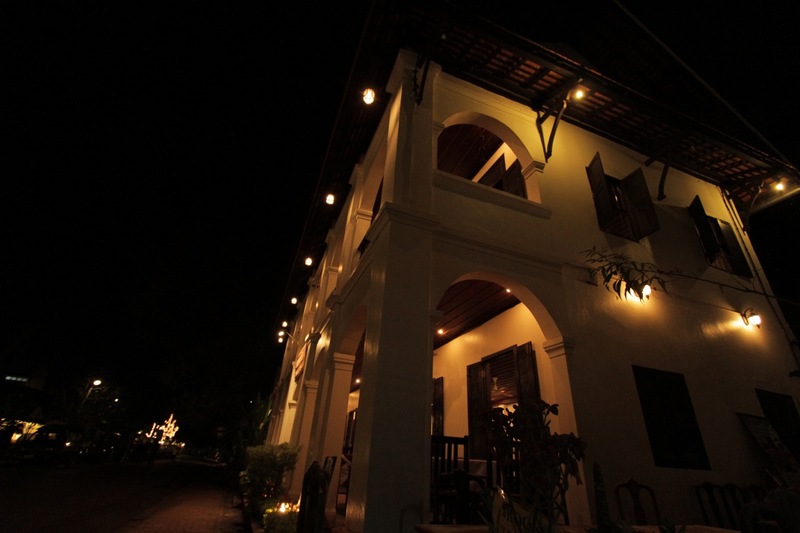 The historic peninsula of Luang Prabang is beautiful, a refined little bubble in Laos. Bougainvillea and hibiscus overhang brick sidewalks, gigantic tamarind trees shade riverfront restaurants, and monks in bright orange robes emerge from countless Buddhist temples. When the French departed from here in the 1950s, they left behind rows of beautiful villas, as well as their penchant for delicious cafes, bistros and French bakeries. Wandering from one to another to sample pastries and coffee is a fantastic way to spend a day, though admittedly detrimental to your budget. The map below shows some of our favorites. We didn’t get a shot of the woman sitting in front of Steph barfing into a plastic bag, so that you’ll just have to imagine. 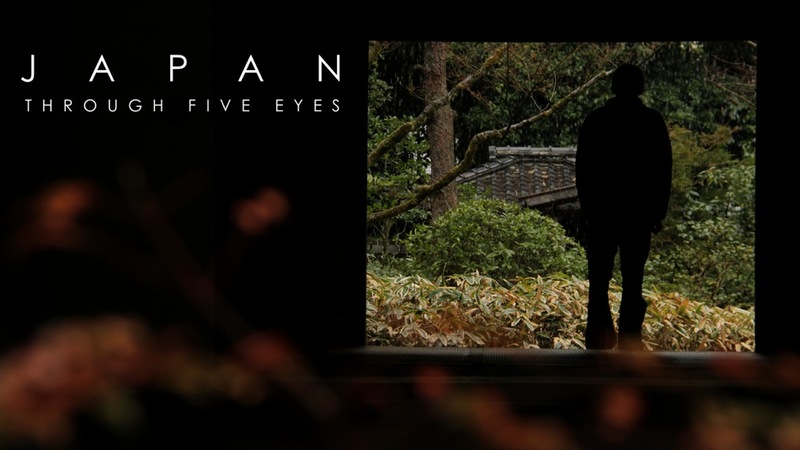 This entry was posted on April 1, 2011 by Five Eyes Films. It was filed under Uncategorized and was tagged with food, grab bag, laos, southeast asia. Wow, looks great except for the bus ride – yikes! 8 hours on that must have been horrible even without the barfer!